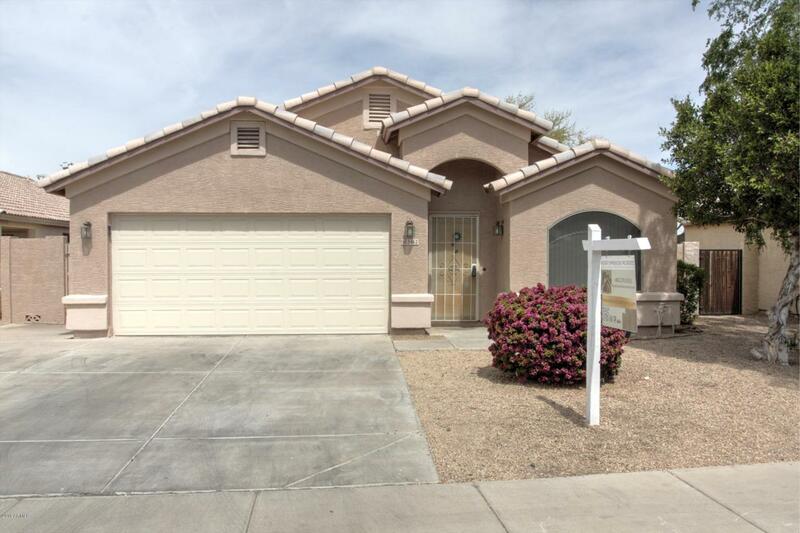 4 bed, 2 bath, single level Glendale home with popular floorplan- high vaulted ceiling, living / dining greatroom up front and back to kitchen that opens up to family room. 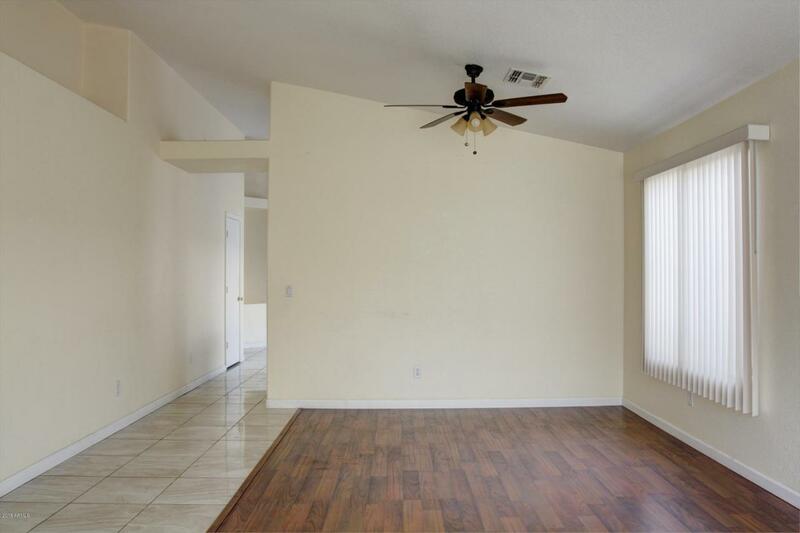 No carpet- all tile and laminate flooring throughout home. Kitchen features island, upgraded cabinets and all SS appliances. Front loader washer & dryer convey too. 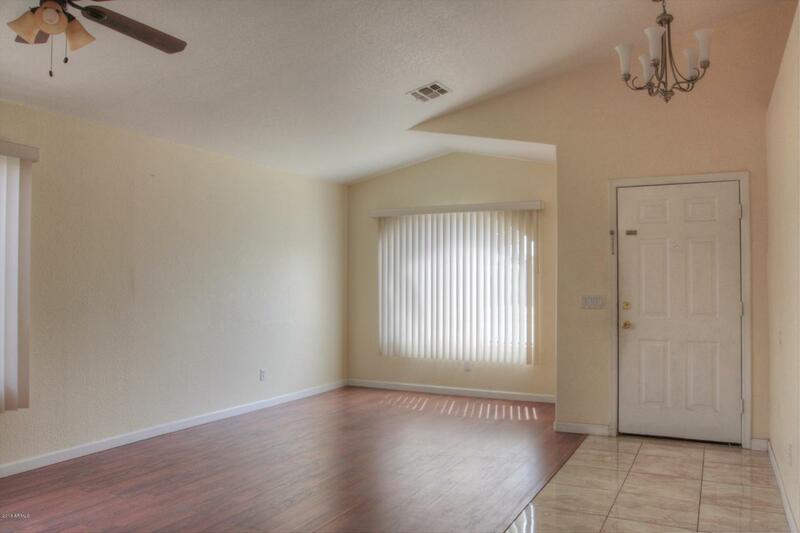 Large master with separate tub & shower and dual sinks. 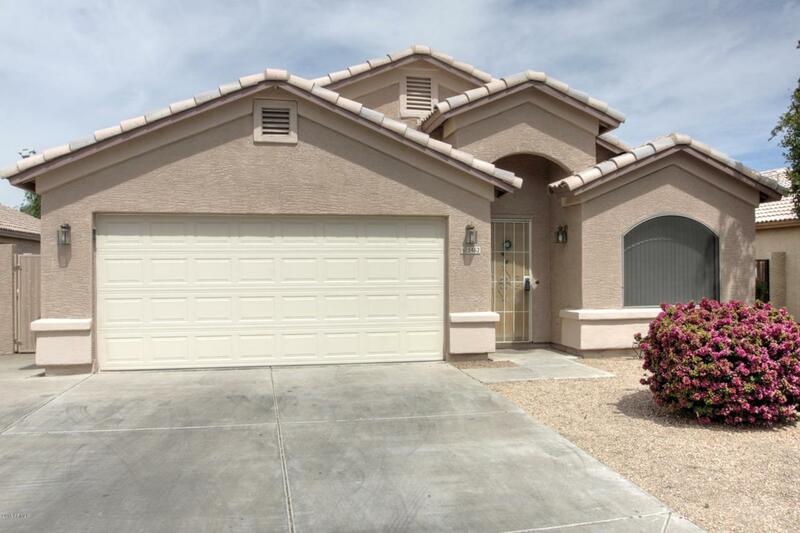 Desert landscaping up front and large, unfinished lot out back- clean slate for your plans. Great location is central to shopping, dining, entertainment, golf, parks, even bus routes and so much more!